I love going on holidays with the kids and enjoying lots of family time together - making memories and all that jazz but I equally enjoy grown-up holidays with just Steve where we don't need to be on high alert and keeping an eye on three kids constantly. My ideal holiday is a proper mix of time with the kids and relaxation/a break from everyday life for us grown-ups. We are very lucky in that every 3-4 years, we have managed to escape on a sneaky child-free break (click the links to read about our trips Marrakech, Mexico and Cuba) but recently I'd say we've perfected the art of booking a family holiday which offers both quality time as a family and quality time as a couple too. Today I'm sharing a couple of tips with you and would love to hear if you have any to add. Sometimes (mainly for ££ reasons), all 5 of us have to stay in one room. We do cope, but I'd say this is my lowest preference when looking for accommodation as being on top of each other for an extended period of time, especially when the kids are older just isn't ideal. When looking for accommodation I much prefer apartments, villas or lodges where the kids can have their own room, there's more space plus a terrace or balcony for us grown-ups to escape to in the evening once they've gone to bed. These days, the kids tend to stay up later than I do but when they were little, we used to put them to bed at 9pm ish and crack open a bottle of wine on the terrace. Bliss! This makes complete sense but travelling with grandparents (who don't mind spending an evening babysitting) in tow is a great way to grab a date night on holiday. We used to do this every year when the kids were smaller and it really worked well. I've written before about why I love bringing the grandparents on holiday and easy childcare is just part of the reason. If travelling with family isn't for you, arranging a break with good friends can work equally as well. It's much easier to slip off and enjoy a couple of drinks without the kids if they're with their friends and being looked after by friends they already know well. 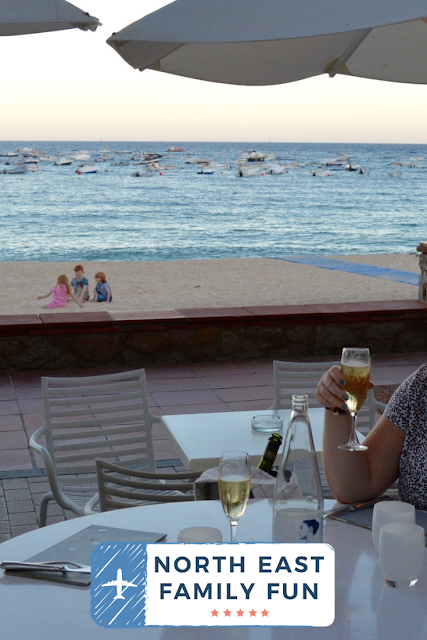 A couple of years ago whilst staying at Calella de Palafrugell, the harbour was lined with gorgeous restaurants perfect for a romantic meal for 2. We walked over to the neighbouring town of Llafranc one evening and loved how many beautiful restaurants lined the beach. One restaurant offered a tasting menu and Steve and I decided to order this for ourselves and asked for the kids' meals to be brought out asap. Once they'd finished, the kids played on the beach in front of the restaurant and Steve and I got to enjoy a lovely bottle of Cava and a beautiful dinner together. It was a fab compromise. This should go without saying recently but we were late to the whole kids clubs scene so I am going to mention it again. Booking a hotel with a good kids club that your kids actually want to go to and enjoy is worth its weight in gold. We used kids club at both Eurocamp and Pirates Village last year and using this service for a few hours each day works really well for us. Kids clubs are usually free to use and Heidi and Jack love them. We use this time to read our books without needing to be on high alert watching the kids and generally relax. I've never done this myself but while I was at uni, one of my student friends was also a babysitter for a family friend. They used to pay for her to go on holiday with them in return for watching the kids for a few hours in the evening or during the day. For the rest of the time, she was free to go off and do her own thing. If you can afford it and have a trusted teen/student in your family, this is a great option I think. In the UK, there's been a bit of a trend recently to make spas more accessible to parents and many spa hotels offer childcare now. We first used this service back in 2014 when staying at Center Parcs (I'm not sure if they still offer this service) and although it was super pricey, it was worth its weight in gold. Rockliffe Hall also offer pre-booked childcare to guests and I'd definitely recommend their spa. I think it's the best spa in the North East. Finally, we're staying at a hotel in Cornwall which offers complimentary childcare for kids while the grown-ups enjoy time in the spa - I am already counting down the days to this! What do you think? 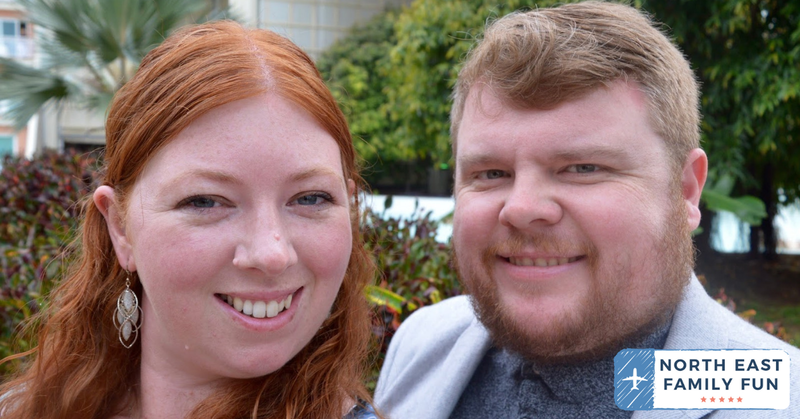 How do you grab time as a couple when on holiday with kids?